I keep wondering if success has an age attached to it. If there is a certain age that if you haven’t reached a certain level of success by that time then you are doomed to be unsuccessful at everything that you attempt. Is there an expiration date on the possibility of succeeding at what you want in life? I don’t think that I can recall a time that I didn’t have outrageous and over the top plans for my life. My goals were always (as I was constantly told by the non-believers surrounding me) beyond my physical reach. It never used to matter what other people said I couldn’t achieve because I knew different. However, at some point, when the dreams haven’t happened yet, when you reach a certain point in life, a certain age, you start to wonder (or at least I did) if I haven’t achieved everything I wanted to by now, then isn’t it too late. 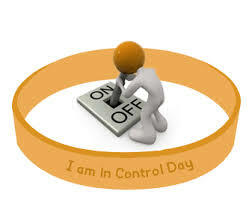 I realize that I cannot control when it is that my plans start to fall into place. I can’t help the obstacles that are bound to get in my way as I struggle to get to where it is that I want to be. What I can control is my thinking and my actions. As you all know, my actions lately haven’t been up to par for a person who wants to achieve big things in their life, largely in part to letting the setbacks, failures, and the feelings of defeat, get the better of me. I wish I could say it’s as simple as me allowing myself to fall into a state of depression but for anyone who suffers with frequent bouts of depression you already know that it doesn’t work quite that way. While I may not have been able to control the feeling of depression that came over me I sometimes wonder if I could’ve somehow kept it from completely taking over and not just wallowed in it instead of doing everything I could to pull myself out of it. Now that I am finally starting to feel things shift and turn around I notice I am starting to get my drive back and my creativity is beginning to flow again. I realize that while there are many things that I have to accept are beyond my control and that I just have to let go of, there are still some important aspects of my plans for the future that I can control. I am working on my projects again and I am not giving up on my dreams and my journey to success. I know I’m not getting any younger but as far as I know, success can come at any time as long as I keep pushing and moving forward and that’s exactly what I intend to do. Next postHow Do You Win a Battle Against Fear? Great points. I don’t think it’s ever too late to live out a dream…as long as you’re alive, you have the ability to create your future.